Filled with 9 ounces of American Soybean WaxTM. Measures 4" x 3" with a 55 hour burn time. Label is easy to remove for a cleaner look. Picture for reference only, candles are ordered individually . Refilling information: One container of Candle Refill Wax will refill this container two and a half times. This container requires one #60 wick to refill. 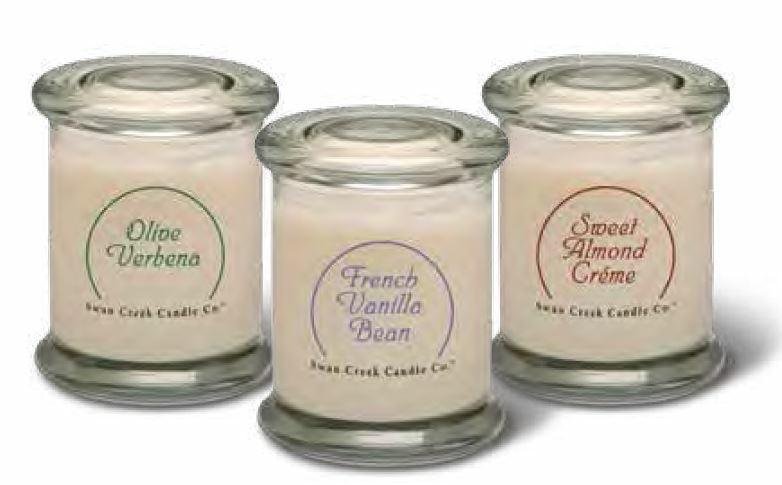 To create the same look as the original candle, use our new White Candle Refill Wax when refilling.